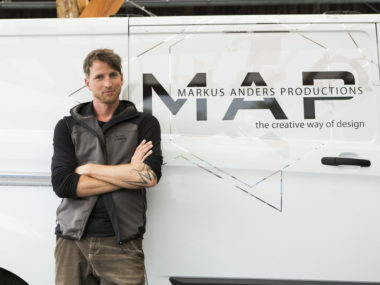 Markus Anders and his team of experts from event technology – light, sound, visual arts, electronic and computing – and professional artists and craftsmen in glass, wood, metal, acrylic and concrete offer what you search. Our expertise grow out of over a decade of experience in the realization of individual ideas. We offer you all from one source: from the planning to the product! Thanks to the cooperation within and outside of our team there are no limits in the conceptualization, creation and realization of your project.